One year after the debut album “It’s Understood” (2000), Estradasphere releases what in comparison is a “coherent” (if you can call a Bungle-Esque album coherent?) concept album trying to put the term “Buck Fever” into a musical experience. Imagine “Disco Volante” but with a more jazzy feel and without Mike Patton’s wide variety of vocals and you get close to what this album is and probably aspired to be. 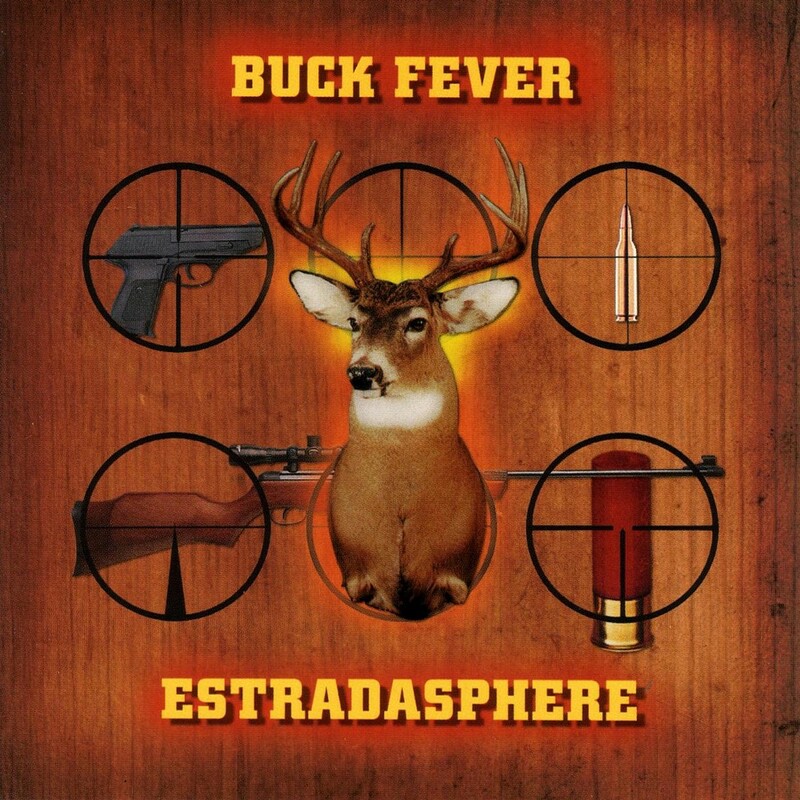 “Buck Fever” has Estradasphere covering a wide variety of styles, juxtapositioning Death Metal to 60’s Pop Rock, Video Game soundtracks as Jazz arrangements, Balkan infused jazz segments cuts to grindcore amongst a range of other musical experiments. These wild contradictory styles fused together is what defines this album, Estradasphere manages to do this is such a elegant fashion that you stop noticing the rapid shifts in time-signatures between the segments. Going into this album i never thought you could make the Balkan fusion come together with Banjos, Western folk and steel guitars as Estradasphere does on “The Dapper Bandits”, a 8 minute long sequence as an audio description of a detective/bandit chase. The track mixes film-noir third person report reading to Jazz and metal breakdowns in effortless way that manages to create just the right associations for the track to actually work. The same transition happens between “Burnt Corpse” and “Rise n’ Shine” where the stark contrast between these songs is even further distanced by the Bossa nova interlude. With all this said, it takes a few listens to fully understand what Estradasphere was aiming for, the first listen is harder due to the challenge of explaining the musical language that this albums speaks.